The University Astronomy Club was forced to cancel the eclipse-watching party after several students became ill after using the club’s UV-protected telescope. Although the students’ eyesight is unaffected, several club members report severe headaches, nausea, and a sense of dread leading to panic attacks. The university is also out of special glasses for watching the eclipse, but students are advised that they can still watch the eclipse on live TV or the internet. ETU Security is currently cooperating with the Golan County Sheriff’s Department on a burglary investigation at the O’Brian Estate. Late yesterday evening burglars broke into President Nelson’s office, resulting in the disappearance of Poe the ETU Fighting Raven. “This is most likely a simple prank. I don’t understand how such a break-in should even be possible though, given our dear Poe’s extensive security,” said President Nelson in an early morning interview. Officials say no other items have been found missing from the president’s office or other rooms within the estate. Poe has been bird-napped several times before, most recently in 2009. In that instance the beloved raven was never recovered and the university had to seek a replacement Poe. This theft comes at a critical time with the homecoming game against Blackburn Tech less than a week away. Although many speculate it is the work of BB Tech pranksters, local authorities are hesitant to make unfounded accusations. “Look here, if Blackburn is behind this we will catch them, but in all due respects the Golan County Sheriff’s Department has no interest in wild goose chases,” said Golan County Sheriff Butch Anderson. Students and faculty alike hold with bated breath that our beloved mascot returns before this Friday’s game. Last Thursday, dozens of students fell ill after eating at Machu Picchu Tacos, a food truck known to operate along the road leading north from Whiskey Creek Apartments. Several students were submitted to the Golan County Regional Hospital late Thursday night, all suspected of suffering from food poisoning. When local Department of Health authorities went to issue a license suspension pending further investigation, the Machu Picchu food truck was no where to be found. The Campus Telecommunications office is still investigating the root cause of “the great ring” two days ago in which every telephone on the campus telecom system rang at the same time. Instead, anyone who answered the calls heard a sound described variously as white noise, whispering, ocean waves, or crackling fire. Some people reported nausea or vertigo after answering the calls, although the President’s Offices issued a statement yesterday assuring the campus community there was no traceable link to health risk. The lines remained unusable for a full 17 minutes before Campus Telecommunications took the drastic step of cycling the power on the entire system and rebooting it. The President’s Office has requested Campus Telecommunications issue a full report within 30 days. According to Sheriff Butch Anderson, the loud boom heard yesterday morning by students all over ETU was caused by an underground explosion in downtown Pinebox. Nearby pedestrians ran for cover at the sound of the explosion, which sent several manhole covers near Pinebox Pawn soaring more than 200 feet into the air. None were harmed as the covers rained down, though some buildings suffered superficial damage and one vehicle was totalled. Residents of Halloway Suites woke to strange circumstances Friday morning, discovering a tower of toilets stacked precariously on the front lawn of the women’s dorm. “Residents of Halloway Suites can be assured that repairmen are hard at work returning full function to the restroom facilities,” said Gilbert Conrad, an ETU spokesman. “Also, campus security requests that anyone who may have more information regarding those responsible for this prank, please call the tip line. The Provost announced the creation of a task force to examine the problem of mid-semester absentees. The announcement came after a residence hall survey revealed dozens of students have abruptly left East Texas University this semester. The task force will be comprised of a cross section of campus administration ranging from faculty to student counselors. Every semester a handful of students quietly leave the university, sometimes without a word to friends or roommates and leaving behind all their possessions. 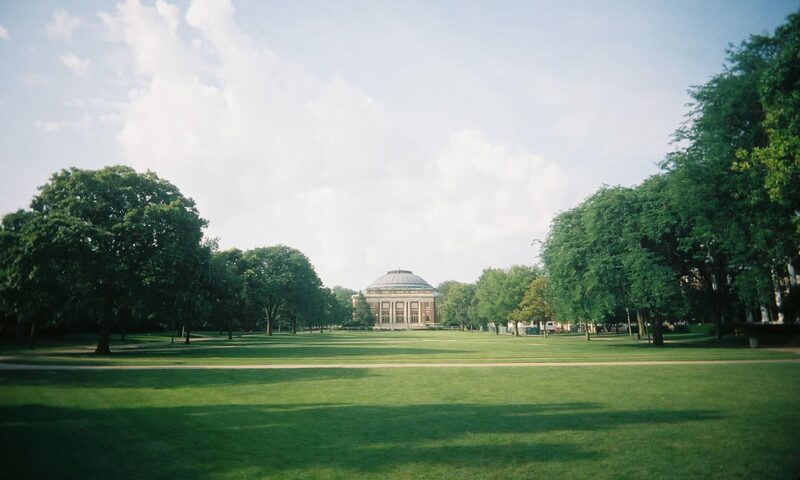 Without an official withdrawal notice, the university treats these students as enrolled but absent. Students still missing at the end of the semester are marked as dropped-out. This semester marks the highest absentee rate since 1994. The Provost hopes to find and return at least some absent students before Final Exams. If you know the location of a missing student, please contact the Provost’s Office. James Dalmer, the pilot whose plane went missing over the Big Thicket last week, was found alive yesterday, wandering the woods near ETU campus. The proud owner of a Cessna 172 Skyhawk, Dalmer had flown the skies above East Texas for over twenty years, prior to his disappearance. Watkins called campus authorities for help, and Dalmer was transported via ambulance to Golan County Memorial Hospital for medical treatment. Tuesday morning, the ETU Ravens were greeted at practice by a flock of ravens. Literally. The flock, known as “a constable”, “an unkindness”, or “a conspiracy”, was found roosting in the Raven’s Nest, completely covering the football field. The birds remained on the field while the team dressed in the locker room, right up until they were about to step on the field and begin practice. Then without warning, the conspiracy took flight in unison, bearing due east. 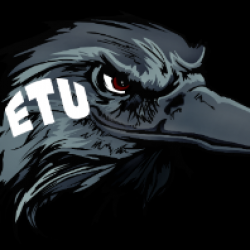 The ETU Ravens are set to face off against the Baylor Bears this Friday at noon. Yesterday evening Kayla Brown, 27, her six year old daughter Ariel, and her four year old son Russell were attacked in the Burrito Palace parking lot by an as-yet identified assailant. The attack was reportedly thwarted by a group of concerned citizens before mother or children could be seriously harmed. According to Brown, her attacker stood over her, brandished a long knife at her menacingly, and smiled. The distraught mother claims that when she saw his “fangs” she screamed for help. Perhaps prompted by her panicked screams, the assailant didn’t ask for money or possessions but simply attacked until other restaurant patrons came to the rescue. The assailant was described by witnesses as a tall, pale, male wearing all black. Witnesses gave conflicting reports as to whether the attacker was subdued or is still at large. When contacted for information, the Pinebox Police Department claimed that the investigation is incomplete and it will issue a statement in the morning. Sheriff Butch Anderson used the incident to remind citizens to practice “common-sense parking lot safety”, including being aware of nearby strangers and avoiding traveling alone at night whenever feasible. East Texas University (ETU) is a state university nestled in the piney woods of East Texas in Pinebox, Texas.